Viewed by both teams as a valuable healthcare component, chiropractic care is commonly used to address neuromusculoskeletal strain injuries, including neck pain, low back pain, strains to the hamstring and quadriceps, and certain whiplash injuries. Additionally, it provides treatment for other extremity problems, such as temporomandibular joint dysfunction (TMJ), carpal and tarsal tunnel misalignments, and shoulder, elbow, knee and ankle tribulations. 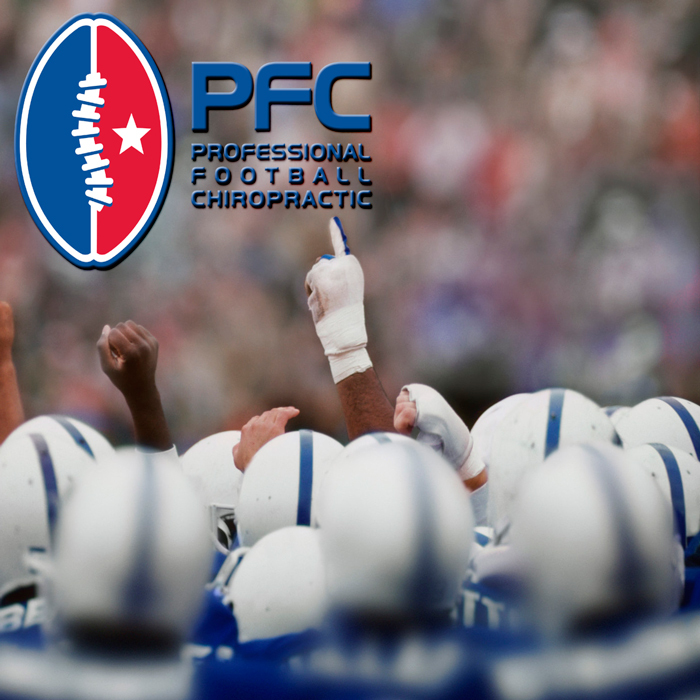 To learn more about professional football and chiropractic, visit the Professional Football Chiropractic Society, an organization that encompasses chiropractors from all 32 NFL teams, including Dr. Miller and Dr. DeStefano, which provide the highest quality chiropractic to the elite athletes. The fact that a billion-dollar industry like the NFL, that employs athletes of the highest caliber, regularly uses chiropractic care to improve body kinetics, mobility, and treat injury, is something that should often be highlighted to those who may have some doubts about the legitimacy and effectiveness of chiropractic methods. With professional football — namely, the NFL — as the best-run business in sports (next to auto racing), these parameters bear a critical view for chiropractic to position itself as an indispensable tool in the wellness care, improved sports performance, and injury rehabilitation of professional athletes.